George Shumate, Founder of Boulder5. George Shumate — also known by his Mountain Project profile, Jorge Pantalones — started stitching his own crag packs after he couldn’t find anything on the shelves that suited him. Two years later, he’s launching his own boutique climbing company, Boulder5, and discovering the challenges and rewards of breaking into the outdoor recreation market. 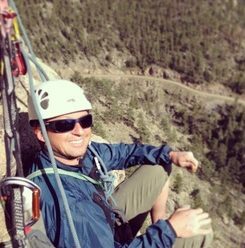 After getting a degree in apparel design and production from Colorado State University, the Boulder resident worked for various big-name soft goods companies including GoLite and Pearl Izumi before realizing that “industry” wasn’t for him. He wanted to build his own designs, not ship the line drawings off to China and wait a month for the final product to appear. Earlier this month, George launched Boulder5’s website and he’s looking for a factory in Colorado to produce his packs — a product he says was developed right at the Boulder crags. His goal is to keep the outfit small, agile, and based in the U.S. This is a really interesting take from a former industry insider who saw a void in mainstream rec products and decided to fill it. And his story isn’t unique in the climbing world. 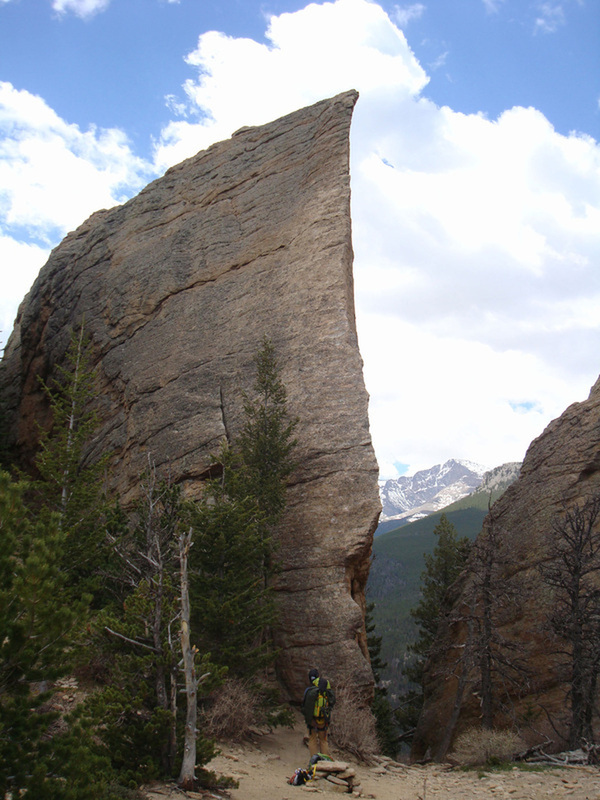 A climber with a Boulder5 Cragging Pack contemplates a route. 1) BLISTER: When did you start climbing? George: About 15 years ago. I moved to Colorado in 1994, and in 1995, I got on the rock for the very first time. God, I guess that’s more than 15 years ago now! It wasn’t until 1996 that I really got going. I’d raced bicycles for 23 years, so climbing was on the back burner for a while. 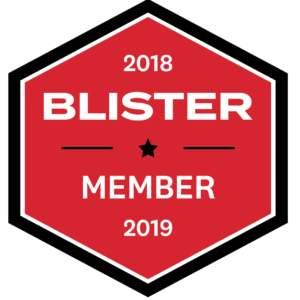 2) BLISTER: Racing road bikes? George: Yeah, road bikes. Climbing was my off-season deal, but I always wanted it to be my athletic retirement plan. So five years ago, I quit racing and was like, “Game On.” It’s been awesome ever since. 3) BLISTER: Yeah, you get the full-body fitness with rock climbing. You don’t have to deal with the strong legs/weak upper body combo. George: Oh my God, it’s so nice. My coach would get upset with me if I climbed too much, because I’d build too much upper body for the bike. 4) BLISTER: When did you start making your own packs? George: I made this crag pack two years ago because I was shopping for a rope bag and I got really frustrated when I didn’t see anything I liked. I’ve had a habit of doing this since I was a kid—I get frustrated with something, then I get super compulsive and I go design and build something. Within about 48 hours of that spark, I’ll have a working prototype of some sort. So I went shopping, got really frustrated and less than 48 hours later, I had a backpack I was really stoked on. About 10 years ago, I got a job in the soft goods industry designing for GoLite. It was at a time when the company was really pushing boundaries and bringing a lot of forward-thinking products to the pack industry. So the crag pack idea came to me two years ago, but I’ve been doing packs for more than a decade now. 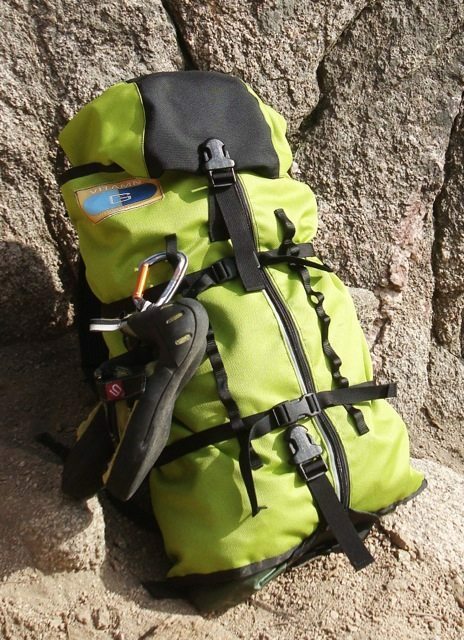 5) BLISTER: Ok, so with this crag pack — you went to the store and got really frustrated with the selection. What are some of the elements you thought were missing from the packs on the racks? George: I wanted a rope bag with a tarp. I didn’t want a shoulder bag, I wanted a backpack. And that, especially two years ago, that just didn’t exist. And I couldn’t fathom why not. So I said, “Ok, I’ll go home and I’ll make one.” And as soon as I started designing it, a lot of additional features that I didn’t think about at the onset just appeared. The little gear loops for example. It was too obvious how the whole thing would work. It’s a different process than when I was in the industry. Instead of taking a pretty drawing from some designer and trying to make it, I’m designing forward from a structural standpoint. And then stuff becomes really obvious. You really do get function leading the way—form following function. 6) BLISTER: How many different packs have you designed on your own? 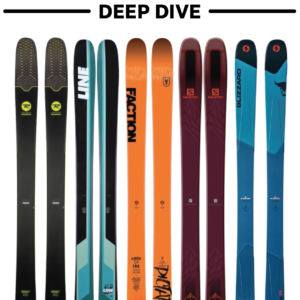 George: I made a teleskiing pack that I really love. 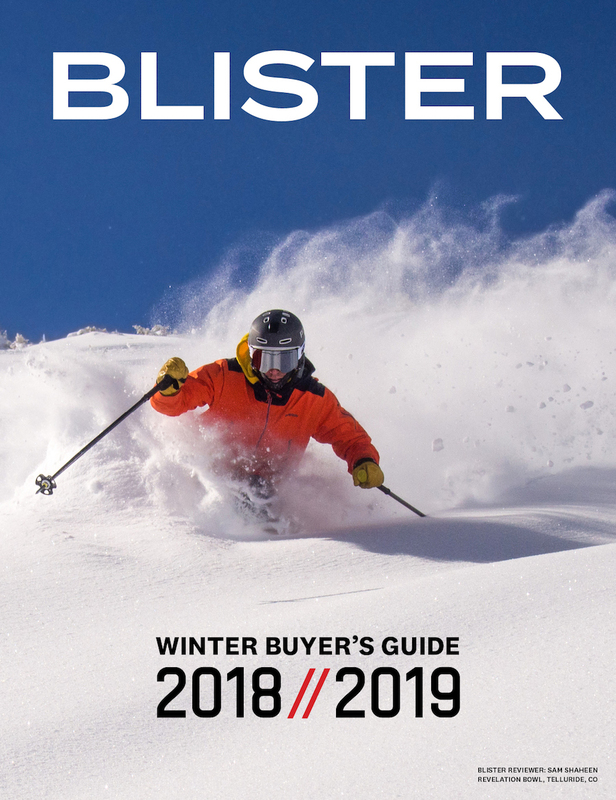 I already owned a sweet backcountry ski pack, but it had straps that kept getting caught on trees, and I didn’t like the way the shovel fit. I wanted something simpler, so I designed and built a pack. I also made a pack for a friend for Bike to Work week. He wanted to carry his briefcase on his bicycle, so I made what looks like a little bucket with straps that his briefcase sits in, so he can carry his briefcase like a backpack. 7) BLISTER: Sounds like a very organic process: you find something you think could be improved upon, or a friend needs an innovative piece of gear, and then you go make it. George: Yeah, basically. 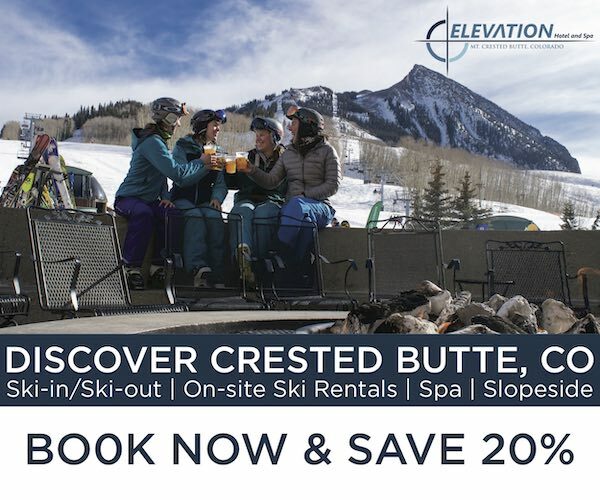 When I started teleskiing, the first thing I did was sit down—again in another compulsive fit— and stay up most of the night making a pair of ski pants. I got a bunch of yellow Gore-Tex, and made a pair of ski pants. They rock, and I still wear them to this day. That’s just how it goes. 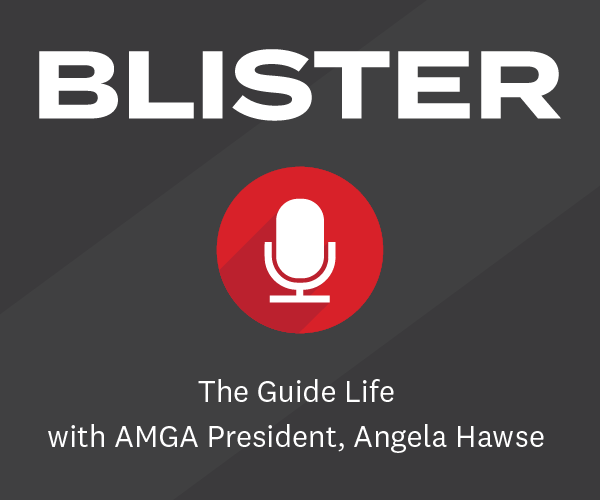 8) BLISTER: How labor intensive a process is it to make the packs? George: It’s pretty labor intensive. Now that I’m trying to churn them out, I realize how long the process takes. We’re working on getting it down to around six or seven hours per pack. I guess I can make a pair of jeans or nicely detailed wool pants in four to five hours. Honestly, the skill involved in sewing nice clothes is replaced by grunt work when you’re making packs. There are more steps and much heavier seams to be made. 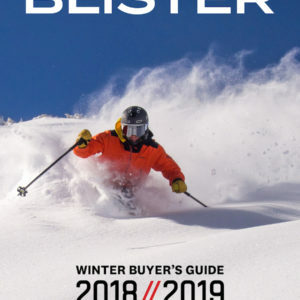 9) BLISTER: How many have you been able to sell? 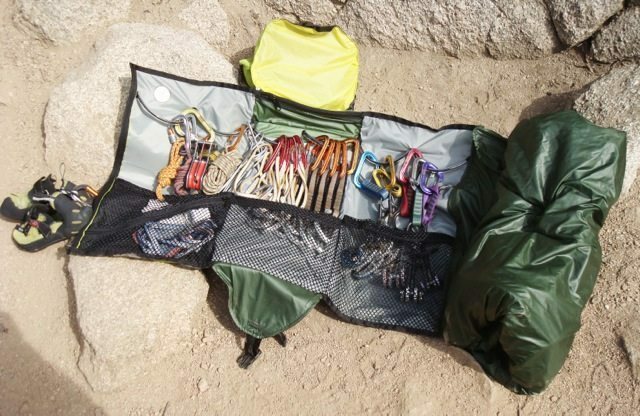 George: I sat down last month and I sowed up a dozen of the crag packs. They all went out the door immediately. Eight of them went to friends and four of them sold on Mountain Project pretty easily. 10) BLISTER: Do you have plans to make more? George: Right now, I’m working on an alpine version of the crag pack that I’m super inspired on. It’s going to be faster and lighter than any of us, put it that way. I’m super excited about the alpine pack, and I’m tweaking the design of the crag pack a little bit, just changing a couple measurements so I can have a small and a large size. Not everybody is 5’6″. I’m also putting up a website and refining my ideas right now. I’m putting all the product development, costing, and supply chain information together and hopefully getting some investors so we can actually produce this thing. I found a facility in Denver, Colorado that I’m working with to see if we can produce a pack here domestically that’s still high quality. There’s a certain factory in Vietnam that pretty much everybody uses — from North Face to Arc’teryx, I think — because the stitching quality is so high. But I think with my smaller numbers, a little more agility and my ability to work in the factory, I can do the same thing here in Denver. I’m really excited about that. 11) BLISTER: So you think it’s viable for a small company to manufacture its products in the U.S.? George: Yeah, exactly. I have so many advantages doing things small. I think I can affect some sort of change in the way things are done. So they get the designer who actually rock climbs, and he or she is probably super stoked on the project at first. Then they make a line drawing with some measurements, those measurements get sent to China or Vietnam, and five weeks later a backpack comes back. The climber tests it, the pack goes back to China to be refined, and then it comes back to the U.S again. You never see the person making it. Versus me, my idea comes from the crag and then it goes to the factory. It’s the exact opposite and I think it shows in the product. That process gives me a lot more agility and ability to construct the bag very purposefully.